As the cradle of civilization, Iraq has thousands of years of history and artifacts that provide a glimpse into the origins of human civilization and customs. 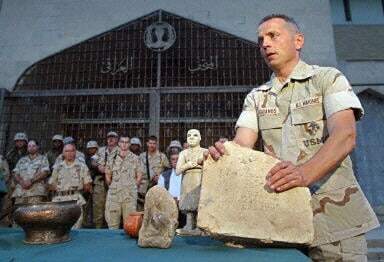 When the United States invaded Iraq in March 2003, thousands of artifacts, priceless pieces from centuries of different cultures and civilizations, were destroyed and stolen as U.S. forces made little effort to try to preserve Iraq’s cultural artifacts. While many artifacts were eventually recovered or returned, it is difficult to ascertain the true scope of the pillaging as the Ministry of Culture did not have a complete inventory. John Limbert recalls the difficulties he encountered in trying to protect artifacts that were being looted, as well as the difficulties encountered in trying to work with the Office of Reconstruction and Humanitarian Assistance (ORHA) and how difficult tasks like restoring a hospital became even more complicated as various religious factions fought for control. As he notes, “This isn’t a sixty-day, in-and-out operation anymore.” The massive looting seriously damaged American efforts to win Iraqi hearts and minds in the months following the invasion. Limbert was called out of serving as Ambassador to Mauritania in March 2003, when he was assigned to be a Cultural Affairs Officer in Iraq, initially stationed in Kuwait, and then in Iraq, when he unceremoniously discovered he was in charge of restoring the Iraq Museum. He was interviewed by Charles Stuart Kennedy in May 2006. 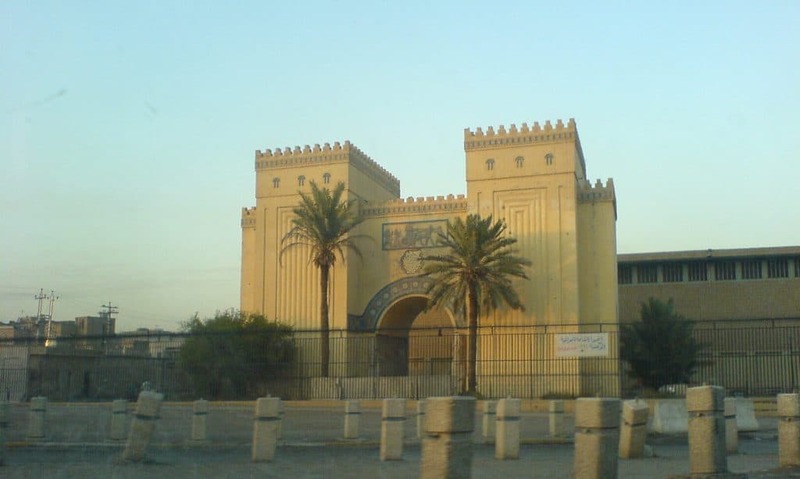 The Iraq Museum was finally reopened in February 2015, 12 years after it had been looted. Read Limbert’s account of his captivity during the Iran Hostage Crisis. Go here for other Moments on Iraq. 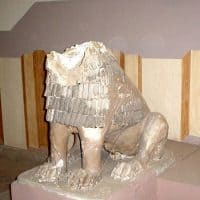 LIMBERT: Reports start coming out about looting at the Iraq Museum and the first reports are very alarming: all is gone, thousands of artifacts are gone, everything is destroyed, thousands of years of history gone like that. I looked on the internet and there it was: Powell said, “Yes, we have so and so, he’s out there and by God he’s going to restore the Iraq Museum.” I said a few things at the moment that were perhaps unprintable, thinking, “How does he suggest I do that?” I started getting, of course, calls from the press, calls from people in the U.S., all very concerned about all this. I got calls from museum people, from university people, from archeologists, from historians, saying, “How can I help?” I know one colleague came and said, “I’m going to take all my money out of the [State Department] Credit Union and I’m going to send a check to buy back the artifacts. Who do I sent it to?” It was that sort of reaction. Of course, like in all these things, we always say the first report is wrong, the second report is wrong, the third report is wrong. We don’t know what’s going on on the ground and I’ll be damned if I could find out. [I was] still in Kuwait and [had] almost no communications. Just these press reports coming out of Iraq. That’s where our communications, particularly with the military, broke down, because one thing was obvious: We were headed for, if not a material disaster, a public relations disaster of the first order. That’s where Central Command, based in Doha at the time, stopped returning telephone calls. Not from me, not from the Department, not from anybody. I still get knots in my stomach thinking about how helpless, the feeling of utter helplessness, we had at the time, absolute inability to influence what was going on. [We] went in on the 23rd of April. 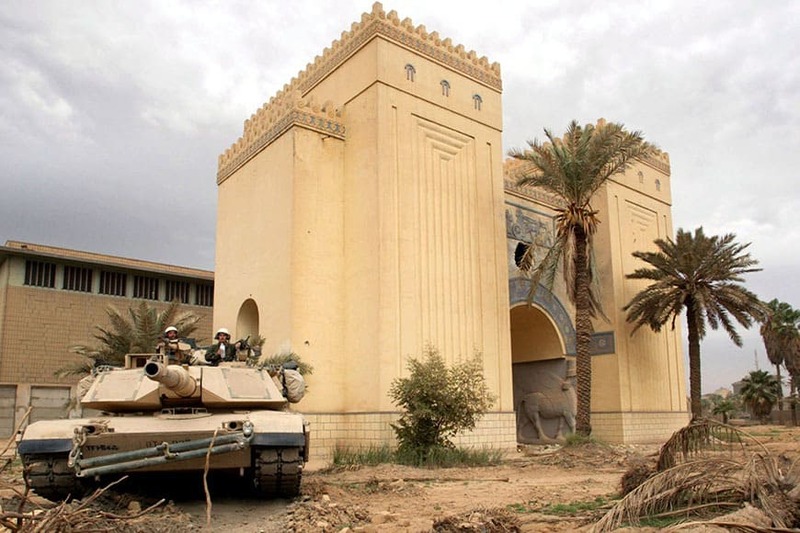 I think on the 15th the military had taken positions at the Iraq Museum, about two or three days after Secretary Powell had said they had done so. That was one of the most discouraging spectacles of the whole time, to see how he was sort of personally disrespected and shoved aside. We flew up there on the 23rd in a C-130. It was one of those wonderful military operations where you’re told, “Be ready to go at 0130.” I don’t know what it is about the military. They seem to like that time slot between midnight and three a.m. And then, of course, you’re ready at 0130 and the plane didn’t fly until like 8:30. We just hung around. We flew in with [Director of the Office for Reconstruction and Humanitarian Assistance for Iraq Jay] Garner. Some people came up later by land convoy. The idea was, “Let’s visit the three most important sectors and show how important these are.” So now we’re getting away from humanitarian affairs. That is off the board and the reconstruction/civil administration piece is now coming into its own. So we’ll visit a hospital, a water treatment plant and we’ll visit a power plant. Health, clean water, sanitation and electricity, three vital sectors. The other one said, “Oh, he’s the new president.” So that’s what the Iraqis were expecting, at least that’s what those two Iraqis were expecting and I imagine that others were, too. So, okay, Saddam is gone, good riddance, now who’s going to run things? Who’s the new president? So we get in the hospital. Beds are looted. Dialysis machines are looted. EKG machines are looted. Blood banks are looted. Livers are looted. Medicines are looted. Air conditioners are looted. It’s in bad shape. So we say to Garner, “Jay, I think we have a problem. We gotta talk to these guys.” So we go into another room and these guys start telling us that the previous administration were thieves, the previous administration were incompetent, the previous administration were not dealing with the patients and now we, the hawza, the Shiite theological center, is in charge of this hospital. He looks at me and he’s thinking, “These Americans are stupid. They really don’t understand anything.” Because, of course, the question was money and power and the question was who’s going to have it. These people from the Shiite side were making their move already. Poor Jay Garner. I don’t think he ever knew what hit him. But we all looked at each other collectively, we being the Foreign Service crew, we all looked at each other and said wordlessly, “Oh, heck.” (the G-rated version). Meaning, “This is going to be a lot more difficult, a lot more complicated, than we thought. What had we walked in to? We had walked into a hornet’s nest, where hospitals become the battleground for long repressed and suppressed divisions in the society. On the second day I went to the museum. That was clearly the thing I needed to do, to show that this new administration cared about the museum, and to find out what the reality was. I thought I would have a group of civilians, at least one or two other people to help me with this portfolio, but they all disappeared. The military or somebody decided they had to go other places. I didn’t have anybody. So I assembled my own team out of some reservists. There were a good number of army reservists who were working in the civil affairs area. These were computer programmers and teachers and administrators, civilians who’d been called up and put on a uniform and they were looking for a job in Baghdad. They had equipment, transportation, weapons and no job. I had a job and none of the other things. So it was a nice match up. As chaotic as things were and as primitive as our own living conditions were, at least we could move around. We found some restaurants, we went to peoples’ houses. Because of these civil affairs people, I had my own transportation. The State Department doesn’t work with grid coordinates. It says, “I want to go to the Ministry of Something or Other.” So there were a lot of problems there, but as I said, I had my own group. The other thing I brought to the table was a satellite phone, because that was the only method of communication. Satellite phones were great for outgoing calls, but they’re hard for incoming calls but it was what we had. Anyway, I went the museum the second day, accompanied by this group of reservists. 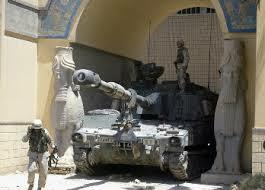 There were U.S. forces in the compound at the museum, providing protection, so the place was secure. The people at the museum showed me around. There’d been a lot of cosmetic damage: desks smashed, windows smashed, walls broken, light fixtures broken, this kind of thing, but in terms of damage to the collection, it was hard to tell exactly. My first impressions were two: one, hire a bunch of guys with brooms and you could get the place spiffed up. The second problem, more basic, was demoralization. These people were demoralized, so they couldn’t get people with brooms. I did give them a hundred bucks from my own pocket, to move some paintings from one building to another for protection. If I had some more money, I could have given them some money so they could go out and hire people, but at that point they were so demoralized they didn’t even have the ability to do that. A lot of the damage was psychological. So I went to the museum. They gave me the tour of the museum. I met the people there. I made a first evaluation, what the situation was. As near as I could discover, there was no inventory of what was gone, of what was damaged, and what safe. Why should they trust me with their secrets or the status of their operation? So part of it was to attempt to build a certain level of trust and confidence. No, I was not here to fire them. No, I was not here to overturn everything that they had done. No, I was not here to ridicule them. No, I was not here to give orders to them. There were things they needed to get the museum back in operation. I brought them some cell phones. I looked around for some sources of money for rebuilding, and for expertise. Who out there could I make contact with, to reestablish their contacts with the outside world, because under Saddam part of Iraq’s problem was its isolation. 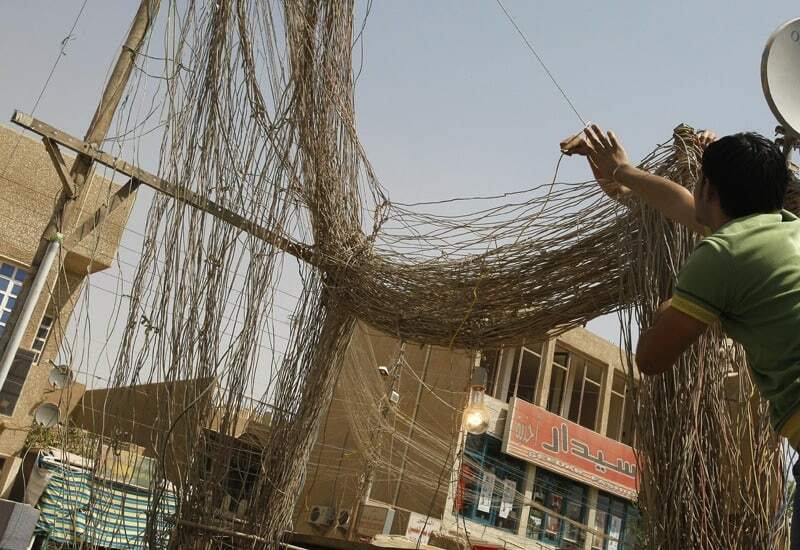 It was difficult for Iraqis to travel, it was difficult for them to make contact with the outside world. But in terms of what was where, the Iraqis were a bit cagey about that. I’m not sure that they showed me everything. I frankly don’t blame them. I probably would have done the same thing. When we went into Baghdad on the 23rd of April, my responsibility was cultural affairs. No one knew whether there was a Ministry of Culture. It turned out that there was and it covered all kinds of things. The museum was the best known piece of it, but even the museum came under a Department of Archeology and Antiquities within the Ministry. Then there was a music school, there was the fashion, there was a tourism bureau, there was a bureau of Kurdish culture, there were handicrafts, all kinds of things going on. As I discovered in my wanderings, it was very clear that if we were going to reconstitute the Ministry or at least put a rump staff together, it had to have a place to work and the Ministry building was such a wreck, it wasn’t usable, it wasn’t safe. So I met with the people from the Ministry, who talked about possibilities. One was the Fashion Center, one was what was called the Publication Center. The Publication Center was about ten miles out in the suburbs, out away from town, quite a lovely little compound. They had a small villa out there which could be offices. Then they had printing presses and printing supplies. This place had not been touched by the looting. We went out there. It was very clear that this would not be a good place to set up a Ministry office, because it was too far away and the offices were very small. Well, the Ministry of Culture of was gone. It had been attacked by what were referred to as the Ali Babas, from Ali Baba and the Forty Thieves. There were more than forty in this case. If this was the Ministry that I was supposed to go into in my suit and my briefcase, it was not going to happen. The furniture was gone, the windows were gone, the electric fixtures were gone, the pipes were gone, the toilets, the sinks, office supplies, typewriters, paper, pens. Nothing. Stripped to the walls. The interesting thing was, even after they’d stripped it to the walls, these guys, they came back and found other things to strip away. And that’s where things got very interesting, because then I started visiting the various buildings that belonged to the Ministry. There was something called the Iraqi House of Fashion, which sounds like an oxymoron, but it had been a place where Iraqi designers had created and exhibited fashions. I guess the idea was to try to foster local talent, instead of using European designs. Although the library building had been seriously damaged in the looting, the book collection was safe, and had been put somewhere under protection. But the library building itself, like the hospital, had turned into a political battleground over who was going to control it. Was it going to be these technocrats from the Baathi regime or was it going to be a new operation dominated by the Shia? The people I dealt with, one was a man in civilian dress, another was a man in clerical dress. I should explain, also, in the interests of full disclosure, with my own background with Iran, my reaction to seeing these Shia clergy at first was not very favorable. The way they explained it to me was as follows: “We are believers in democracy.” My experience with them in Iran was, whatever they were, they were not democrats. Then one of them said something very interesting. He said, “Look, what’s this new Iraq going to be? If it’s a democracy, then we, the Shia, 65 per cent of the population, should be the dominant force. If it isn’t a democracy, we should still be the dominant force, because it’s now our turn. We’ve been on the bottom for a long time. Now it’s our turn to be on the top.” And that was the way they looked at it. So the National Library was one place. There was something called the Manuscript Center, and I ran into the head of it….He and his wife ran this Manuscript Center and they had moved their manuscript collections to what he called a “shelter.” I thought some basement somewhere. No, it was a real bomb shelter. Their immediate reaction was, “No, no, no, anything but that! We can do it.” My routine was, gather the military folks, and go to the different pieces under the Ministry of Culture. You never knew what you would find. You’d start out think you were going to do a, b, and c. You would end up doing a, d and z, because every place you would go to there would be a surprise or a crisis. But there was another issue, which was that this place had state-of-the-art Heidelberg printing presses, plus very expensive ink and paper, which they had been using to print glossy magazines about antiquities, about museums, about archaeological sites, about painters and sculptors and so forth. Maybe the good thing about a dictatorship, is if they decide to do something they’ll spare no expense. The presses, in fact, were still sitting in their crates, had not been unpacked and had not been set up. There must have been $15-20 million worth of stuff at this Center, completely unguarded and not touched. 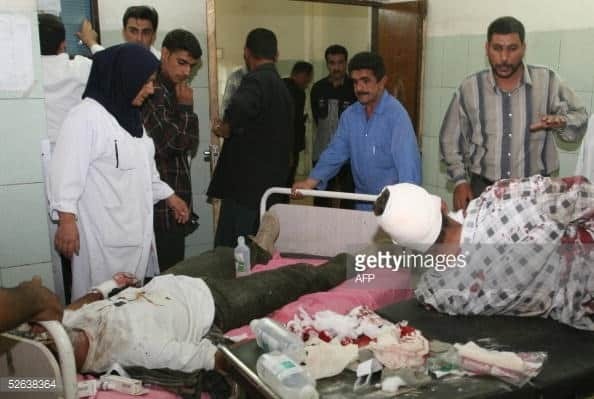 When I started going out there, the place had been visited by some Shia militia groups, including groups connected with our friend Muqtada al-Sadr [one of the most influential religious and political figures in Iraq, who issued a fatwa in 2003 which allowed theft and racketeering]. The first visits had been friendly, but the people told me out there that the visits were getting less and less friendly. When I went out there, after about the third time, they said, “We don’t know how long we can keep these people out.” I saw a poster that they had been forced to put up in the window which basically said, “What the hawza wants, the hawza gets.” Hawza is the Shiite theological center…. 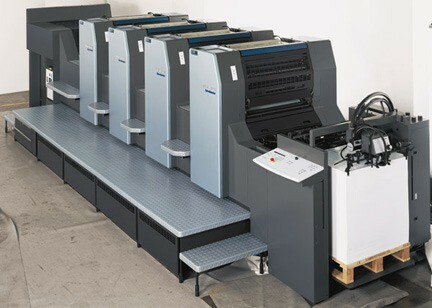 The last thing, it seemed to me, that we wanted to happen was for some very unfriendly people to have access to all of this printing equipment, which would have given them tremendous power. All right, what to do? I went back to our headquarters in the Green Zone and explained the situation to our military colleagues, emphasizing the necessity of getting some protection on this facility to keep our Shiite friends away. I found them completely uninterested. Blank looks. So the next thing I did, I went back there and I asked, “Where’s the nearest American military unit?” It was in a little town about half a mile up the road. So I went there and I found a platoon camped in a school and I found the platoon leader, explained the situation to him and he got it immediately. So what I did was, I tried to establish a scholar-to-scholar relation with the head of the Antiquities Department. His specialty was this Hatra civilization, the late Roman, civilization in northern Iraq. We talked about that. One was to build some trust. Two, to safeguard what was not looted, like the printing center, like the manuscript house, whatever else there was. Three was to get stolen objects back. It was interesting, because a lot of stuff started appearing. People were bringing things back, because there was an amnesty/buy-back program that existed under Iraqi law. So if you had an antiquity and you brought it in, they paid you the equivalent of a hundred dollars or two hundred dollars, no questions asked, depending on what it was. Well, a Sumerian head might be worth $150,000 on the world market, but sitting in your house in Baghdad it’s a paperweight, it’s not worth a damn. In the meantime, you desperately need cash to feed your family. So people started bringing the stuff back. The other thing that happened, at least in the case of the Shiite mosques, the Shiite imams told people that these items were haram, that they were stolen goods and therefore anything you bought with them was haram, was not suitable. You couldn’t buy clothes with it, the clothes you bought were unclean. The food you might buy using the proceeds from it were unclean. That meant a lot to most people. So that was a big effort, to get the stuff back. Other stuff was found at checkpoints. So things were drifting back. Also, the losses turned out not to be as bad as we thought, because the people in the museum had safeguarded some stuff. There was a treasure which was rumored to be put for safekeeping in the vault underneath the Central Bank in downtown Baghdad. 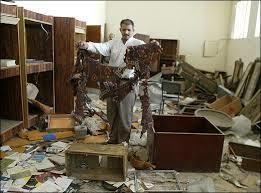 The Central Bank in downtown Baghdad was a wreck. It had been bombed. There was flooding in the basement. There was no electricity. In comes National Geographic magazine in all of its might and National Geographic magazine announces that it is going to pay for cleaning out the basement of the Central Bank, pumping out the water and opening the vault. There was a lot of hustling going on there, a lot of freelancing, but much of the stuff had been taken out and safeguarded before the war. So it was gradually becoming clear that the losses were not necessarily as bad as many thought. There was a lot of cosmetic damages, places smashed and so forth but in terms of the loss of items from the collections in the museum, maybe it wasn’t so bad. But of course without an inventory how do you know? Q: Was there word put out to all the museums in the world, “Keep your eye out for this, don’t take anything reported stolen”? LIMBERT: Yeah, the idea is you don’t buy anything of Mesopotamian provenance, because you assume it’s stolen goods. You got word out to U.S. Customs, to UNESCO, saying this is an emergency, you have to stop this trade. But of course as I learned there’s also an underground trade. I also learned that there is a huge fight in the world of people who run museums and scholars. Apparently the two cannot stand each other…. Q: During the time you were doing this, how much were you on your own and how much was at least something trickling through the Pentagon, the State Department, Garner’s office, as far as instructions? But basically the State Department was not a player. The best I could do, the best all of us could do, was to keep our colleagues in Washington informed of what was going on. But they had zero influence over events.